Planning days out in our house are always considered a bonus if we can take Lola with us. 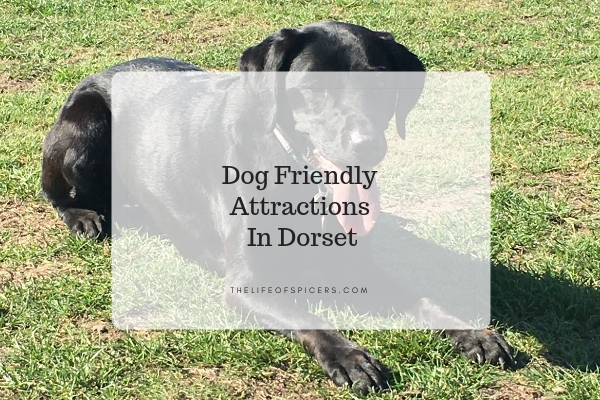 Dog friendly places to visit are becoming more popular, and as we are very lucky to live on the South Coast, we are always looking for dog friendly attractions in Dorset. Corfe Castle sits proudly in the middle of Corfe village. The castle ruins are part of the National Trust meaning you can access the site for free with your National Trust Membership. There is also a large car park nearby that National Trust members can park for free. Dogs are welcome in all of Corfe Castle all year around. The requirement is that they must stay on a lead at all times. 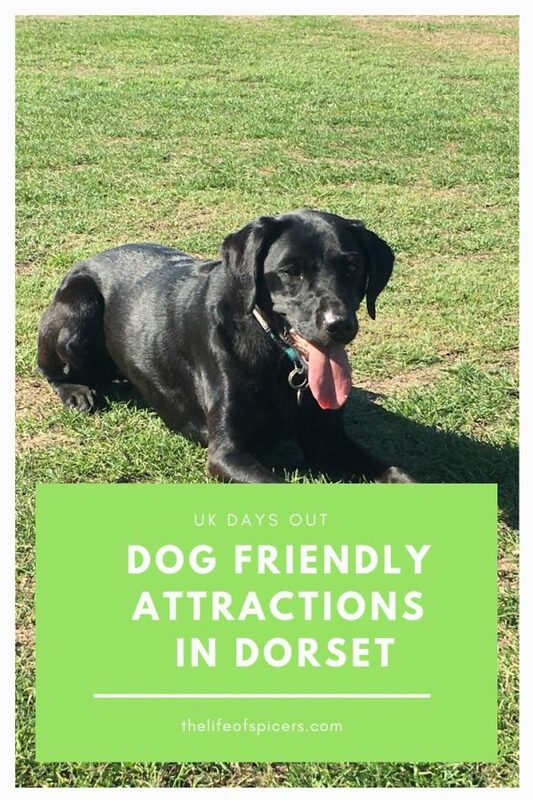 Taking your four-legged friend to Corfe Castle is a great day out for all the family, There is so much going on all year round, and as we discover each time we visit, plenty of walks along the south-west coast path. 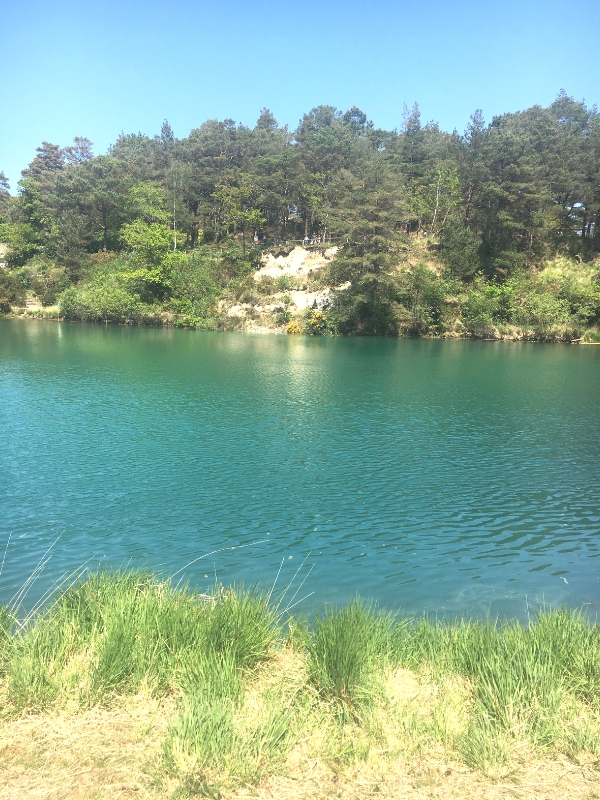 The Blue Pool in Wareham is a must place to visit with your dogs on a sunny day. The Blue Pool is a beauty spot and tea rooms where dogs are welcome all year round. Again they must stay on a lead and are not allowed in the water, however if you pop into the tea rooms you’ll even find dog friendly ice cream and dog friendly popcorn. The pool has a clay base which reflects the sun making some stunning shades of blue. On a dull day the sights aren’t quite as attractive, however there are some lovely woodlands to walk your dog around. Lulworth Cove is a UNESCO World Heritage site which is famous for its geology and fossil hunting. We go to Lulworth Cove frequently as there is ample parking at a reasonable cost. Once parked, you can spend hours exploring Lulworth Cove and the village itself. The cove is made up of a large pebble dog friendly beach which can be a little difficult to walk on for lesser abled people. Lola loves it at Lulworth Cove as she gets to splash about in the water and explore all the different smells. 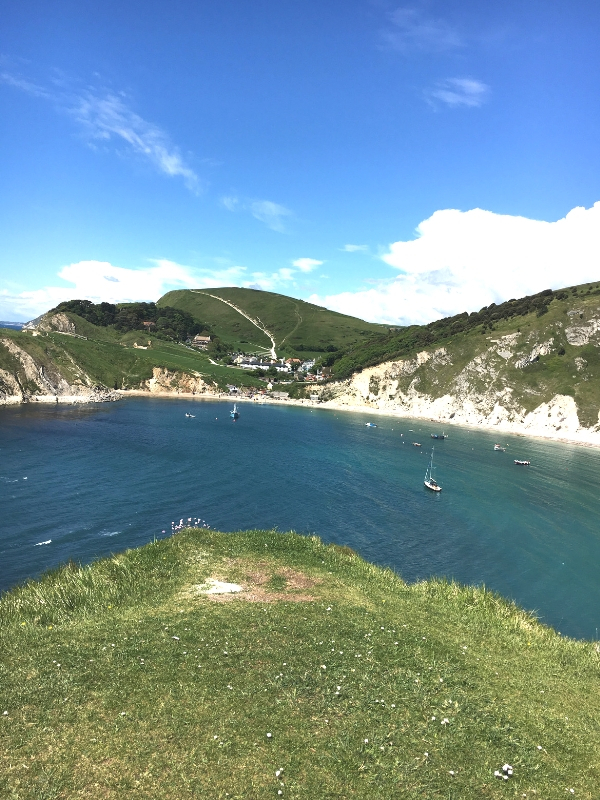 If you’re looking to explore some of the Jurassic Coast then Lulworth is a great place to start. We also love the short walk between Lulworth and Durdle Door. There are some amazing local shops in the village to tempt you from fresh fish to restaurants and tea rooms. We happened upon Upton Country Park by accident one day when we were already out and about with Lola. With low parking charges and a huge amount of green space, Upton Country Park is a great low cost day out. 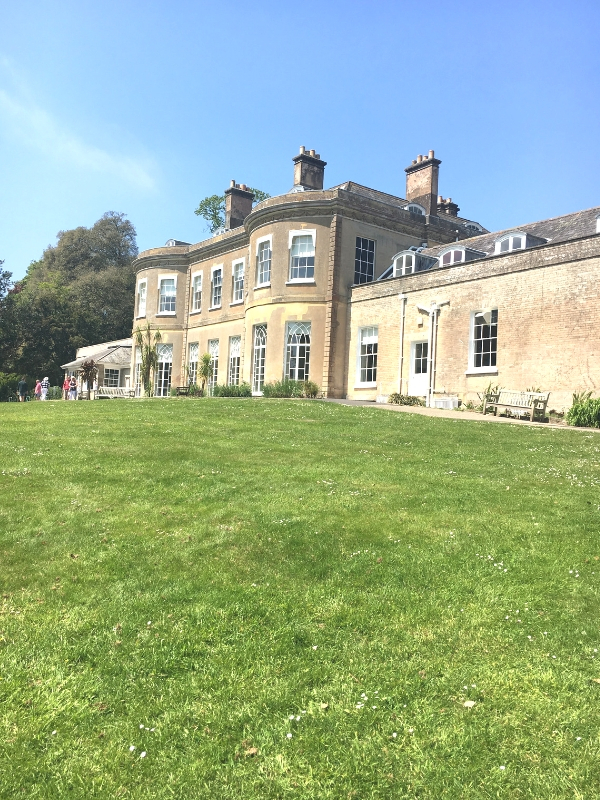 You will want to take your own chairs, picnic blanket and entertainment along with food and drink, but you can spend hours at Upton Country Park on a nice day. There is a nice stream, plenty of places to explore and a great place to stop for ice cream. Moors Valley Country Park has so many activities for a great day. Parking is on the high side here, but if you know you’ll stay all day then it’s cheaper to get an all day ticket. Dogs are very welcome on leads, and are allowed in most places apart from the train, play park and obviously the Go Ape Course. We spend a lot of time at Moors Valley Country Park and we never get bored. Take a picnic to keep the costs down, but there is also a lovely restaurant on site and plenty of places to buy hot and cold drinks, ice creams and snacks should you want to. Durlston Country Park in Swanage is a nice place to explore with your dog. There are some great walks around the park which start to cross over into the South West Coastal path. If you’re really lucky it’s been known to spot dolphins just off the bay. We haven’t been lucky yet though. Parking is reasonable at Durlston Country Park and they’re very dog friendly. Part of the National Trust, Kingston Lacy is a lovely place to take your dog. Dogs aren’t allowed on the main lawn in front of the house, however there are plenty of paths and areas they are allowed. There is a great woodland walk which takes you through the play area at Kingston Lacy. You won’t miss out on the bamboo gardens, or Japanese Gardens if you’re taking your dog with you. They’re also very welcome in the stable restaurant in a section which makes it the perfect excuse for a hot chocolate on a cold day or a jacket potato for lunch. 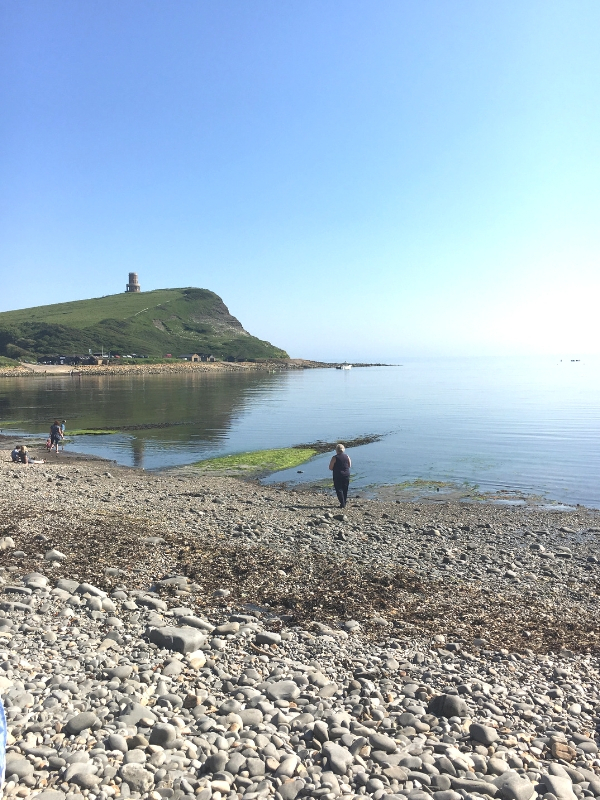 Kimmeridge Bay is a lovely place to go with your dog. You can spend hours exploring the bay and also venturing further should you wish. Parking is payable via a toll road and is currently a flat fee of £5, so go early and make the most of your day. As you park at the top of the cliff top, you will be greeted with amazing views across the bay. On the beach you have the option of a large rock beach which Lola really enjoyed despite the rocky terrain, or there is a shingle beach to the other side which is easily accessible. We love visiting Hengistbury Head with Lola. It’s a great walk from Hengistbury to Mudeford Beach along the paths. You can also walk along the beach, and dogs are find on and off leads. The land train does also travel along the same paths so it’s sometimes advisable to keep the dogs on the leads. Parking is cheaper in the winter months at Hengistbury, however if you’re popping down for a walk it’s not too expensive at all.